Joann Johnston serves as Legal Projects Director for the Georgia Heirs Property Law Center, a project of Georgia Appleseed Center for Law and Justice, which works to protect heirs property rights as a means to address poverty and build generational wealth in underserved Georgia communities. 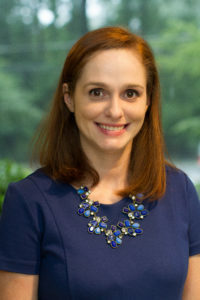 In addition to her role as the JLA’s Vice President for Internal Operations, Joann serves as a board member and volunteer for Midtown Assistance Center, a homelessness and hunger prevention agency serving low income families in the Atlanta community. Joann has also volunteered with the United Way of Greater Atlanta Community Investment Committee, Atlanta Symphony Associates, Georgia Asylum and Immigration Network and the Atlanta Volunteer Lawyers Foundation. Joann lives in Grant Park and loves spending time with her dogs Shelby, Ansley and Lily.